Cater your next event with Hang Ten Raw Bar. We cater to weddings, cocktail party's, birthdays, private dinners, beach party's, corporate events and more. Pocomo Meadow Oyster Farm is located on the south side of Pocomo Point, near the mouth of Polpis Harbor. The tide rushes twice a day through a narrow channel connecting to Nantucket's main harbor. Right behind the farm is an area of undeveloped salt swamp fed by two tidal creeks that flow out directly into where the oysters grow. Oysters are filter feeders, and they thrive on the nutrients from fresh water springs bubbling out from the Pocomo Meadow. In this unique body of water the oysters flourish, giving them a heavenly brine and a sweetness that is unmatched by any other local oyster. Each oyster starts out about the size of a corn kernel and spends its first two years growing in a large mesh bag. Once they've reached three inches long, we set them loose on the seafloor to mature for three months as "free range oysters," where they happily grow fat and full to their shell. We dig our clams by hand from the wild. Nantucket's harbors are fed by cold Atlantic ocean currents and provide an ideal habitat for these hard shell delicacies. 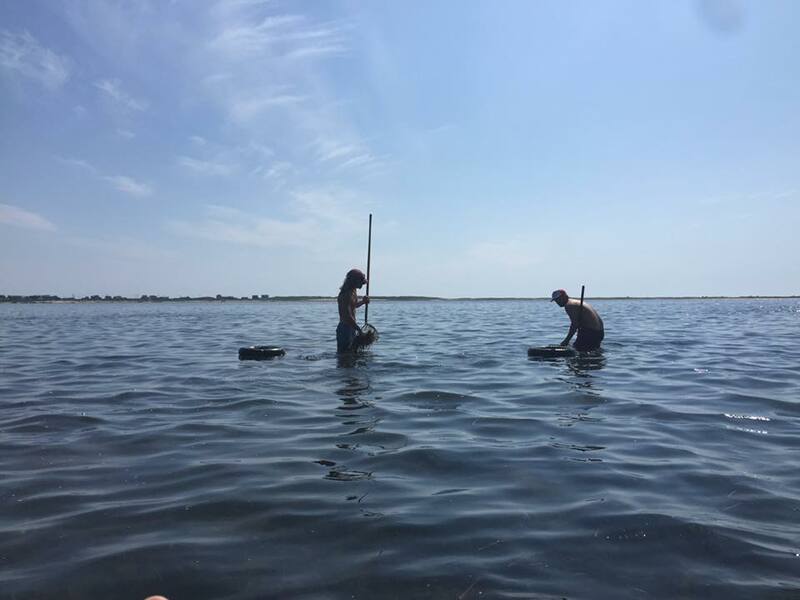 At low tide we go out to our "secrete spots" and dig using hand rakes to sift these clams out of the sand and eelgrass where they live. 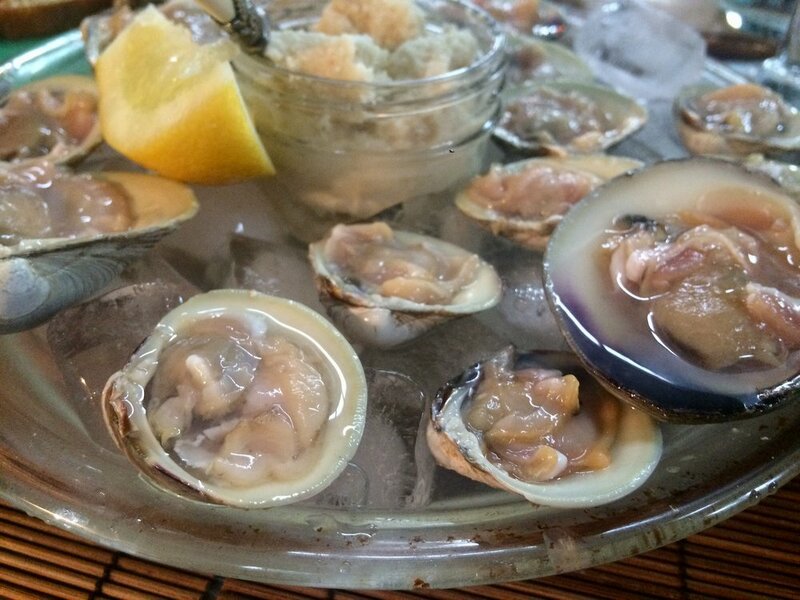 Quahog clams range in size, top necks are the largest, cherrystones a size smaller, and little necks are the smallest and best for raw bar, since they are especially tender and sweet. Nantucket is world famous for its wild bay scallops. 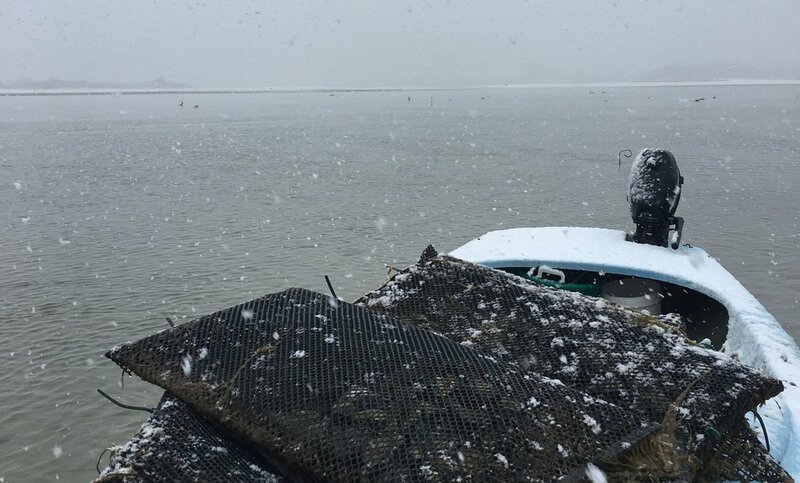 November through March we commercially fish for scallops, harvesting them from the icy winter waters. They are renowned for their buttery sweetness and are coveted in the best restaurants across America. We serve them on the half shell, or prepare them as a ceviche. Emil is a Nantucket Native who grew up with a father whose life revolved around the ocean. He attended Brandeis University where he played soccer for four years and graduated with a degree in Environmental Science. He now runs the Pocomo Meadow Oyster Farm with his father and yellow lab, Hugo. Emil is at the farm everyday in the summer harvesting oysters for local restaurants and the raw bar. He can answer any and all questions you have about how the farm works. Sean is a Nantucket Native. He is an avid surfer, fisherman, and the 1st place winner of 2017 Nantucket oyster shucking contest. Sean graduated from Le Cordon Bleu Culinary School and works as a private chef on island. He loves gathering fresh ingredients and sharing his passion for great food.